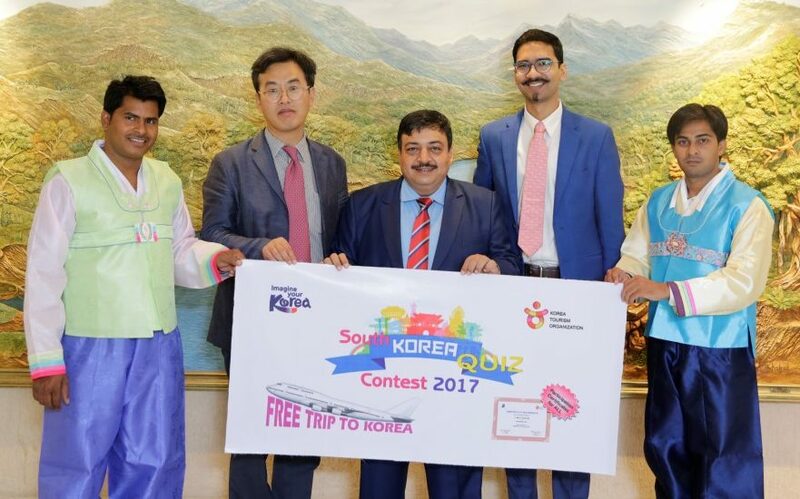 In order to bring South Korea closer to the hearts of the youngsters in the tricity, Korea Tourism Organization India launched Quiz Contest for Tricity school students. The Quiz is open for Class 8th to 12th school students of Chandigarh, Mohali, Panchkula and surrounding areas. The Quiz is called “South Korea Quiz Contest 2017”. The Quiz Contest will be organized by Athena Ventures with the support of Korea Tourism Organization. Participation Certificates will be given to all participants. Athena Ventures has organized many similar programs for Korea and other countries earlier also. Be it through the historical fact that an Indian princess married a Korean King more than 2000 years ago or interesting statistic that Korea is the safest country in the world, South Korea came closer to Indian hearts after a promotion done in Chandigarh by Korea Tourism Organization. Reaching out to the Tricity residents, Mr. Jong Sool Kwon, Director, Korea Tourism Organization extended a warm invitation to imagine their Korea in their own way. He outlined the various benefits of experiencing Korea. It has a lot to offer to a lot of people, he said, while explaining the theme of Korean tourism which is “Imagine Your Korea”. Barely a few days after taking over his new charge, he chose to visit Chandigarh, the city beautiful. The winner will get a free trip to South Korea for 6 days. The other finalists will also get big supports for travelling to Korea. More than 4,000 students are expected to take part in the Quiz Contest. Students can get more information about the Quiz Contest on www.southkoreaquiz.com or they can call 9810036282. Final Level Quiz will be conducted in Auditorium, Government Museum and Art Gallery, Sector 10, Chandigarh on 13 Aug 2017.